The easiest way to describe SEO is a giant riddle. No one knows the answer to the riddle, but we do know some significant clues.. Oh, and the riddle has parts that are constantly changing. To put this in english, let’s say the riddle is Google’s algorithm. We are aware of techniques that have worked time and time again, but Google’s algorithm is always changing and new technology is always being developed. Our job is to stay on top of algorithm changes and how new technology is being used in order to take advantage of it before any other firm can. Some of SEO is problem solving and experimenting with new techniques; the other part of SEO is implementing a strategy and using techniques that we know will work no matter what changes Google makes to their algorithm (to which Google makes about 150 changes per year). We know some things will always improve your SEO like link building, original content, and so forth. There are also a number of components to the algorithm we are constantly trying to figure out as Google, or any other search engine, changes their algorithm and as new technology emerges. Through trials and tribulations, Legal Firm Web Design has been able to develop a strategy that is proven to be successful when building and maintaining a law firm’s website, regardless of its size.The best part of this strategy is that it is scalable. This means that we can use the same core strategy for firm’s of all different sizes, ranging from sole practitioners to large law firms with 55 partners and nationwide service. When taking ranking into consideration, another factor is how close to the top of the page you are. If you are on the top of the page, it is more likely that a user will visit your website than if you are at the bottom of the page. 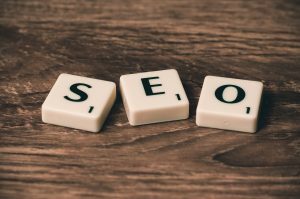 Why Your Law Firm Needs SEO? Duplicate content is one of the most harmful practices when it comes to SEO. Search engines want to read quality, trustworthy content. Search engine use “crawlers” when indexing a website. Crawlers want to be able to navigate through the site without any trouble. Having a well built site architecture also makes your site more user friendly. On-page optimization is creating the proper tags, header tags, and meta tags for each page of your website. Schema markup is off-page optimization. Have you ever seen reviews right below the blue hyperlink on Google or a snippet that is longer and more detailed than the others? That is the result of schema markup. Years ago, you would be able to build a vast network of links from any website and that would improve your ranking. Nowadays, search engines want to see external links from reputable sites that are relevant to the topic of that page. If you spam external links, search engines will penalize you. We have plans that are scalable in both cost and strategy. We can work with you on cost, as we have clients with one attorney and clients with 30 attorneys. 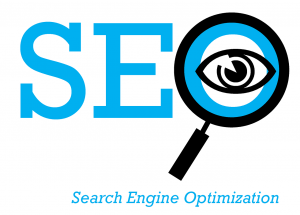 Our strategies can be used to improve the SEO of even the most basic website. As mentioned earlier, the better your website ranks, the chance of organic visitors increases. It is important to rank not only for your practice area, but for the location in which you practice as well. The higher you rank, leads to greater website visibility, which leads to an increase in brand awareness. This is important for you to know. We send out monthly reports to our clients that outline where their visitors are coming from and how their website is performing. What Can Legal Firm Website Design do For You? Content is one of the most important aspects of search engine optimization. The ability to curate original, trustworthy, and relevant content is essential. Content includes the pages written on your website, as well as the blogs that are being posted. For example, if you are a personal injury lawyer, you will not have a page or blog on your website that is focused on estate planning. Makes sense, right? External content is also important. If there are any backlinks to your website, it is best if they are a reputable and relevant source.